It is a 3 room apartment and has a terrific panoramic view. It has up to six sleeps and two bedrooms. tuja and grape trees and geranium flowers. 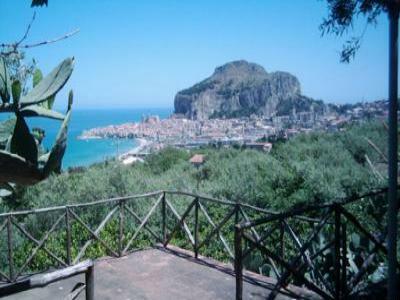 - Private terrace with gorgeous view on the Cefalu bay aera. beach in the summer, and private access to the apartment.